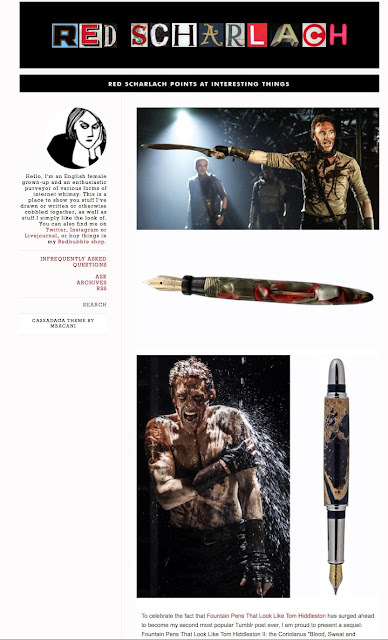 My new favourite person on Tumblr has found fountain pens that look like Tom Hiddleston. thank you Emmy Gregory for this! Red Scharlach was inspired in her pursuit of fountain pens that look like gorgeous Tom because: " A Guardian film review described Tom as “tall, thin, blue-suited and looking somewhat like a fountain pen” and I decided to run with it…" GENIUS I TELL YOU! 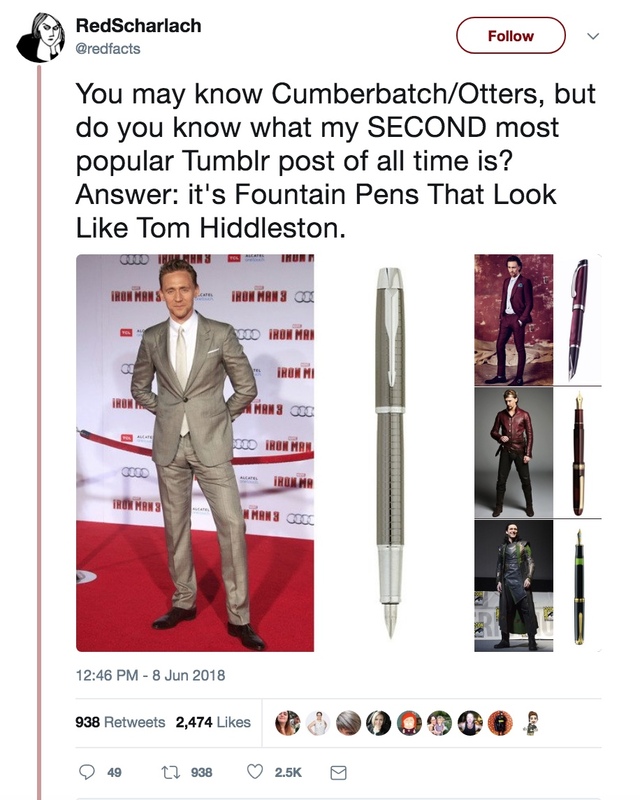 I am ashamed to call myself a Tom Hiddlestoner AND a fountain pen fan for not thinking of this particular fruitful seam of potential purchases myself. And now you must excuse me as I go for a brief lie down in a darkened room as I contemplate Tom. And the cost of all these pens!